N.E. corner unit with view of the Northshore Mountains and Brentwood Mall. 9' high ceiling and glass surround give this unit a spacious and bright environment. Unsurpassed amenities include indoor swimming pool, hot tubs, exercise room and saunas. 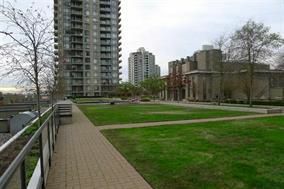 Walking distance to skytrain station, restaurants and Brentwood Mall. Easy access to Highway 1.